This village perched up high dates to 154 BC and overlooks hills covered with mimosas and olive trees. 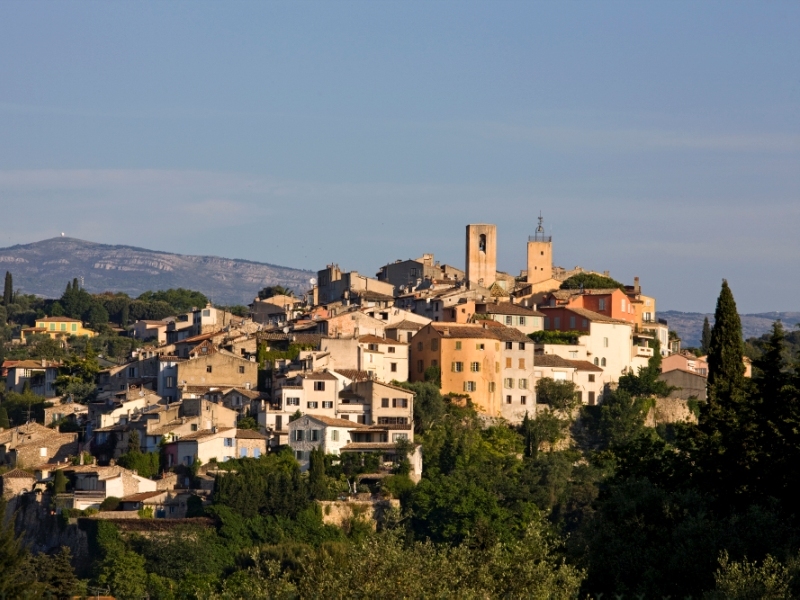 Visiting Biot is to take a real tour through Provencal history. One can’t help but admire the beautiful doors, vaults, stairways, stonework, sundials, cobblestones, and the perspectives from one street to another. The village is famous for its hand-made glass. The glass creations can be bought at the famous “Verrerie de Biot” or in one of the ateliers in the historic centre. 9 km away from the hotel – 17′ drive.